Hi everyone, it’s Siân and Kara. For over a year now, we have been at times wandering and at times striding toward a two-person show of our own design. We are almost there. 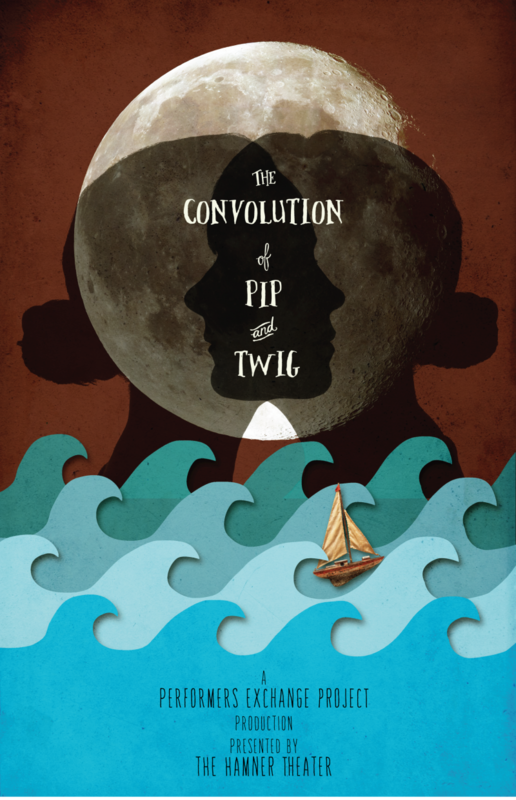 The Convolution of Pip and Twig is a story of twins navigating the light and the shadow of a complicated love, through well-worn routines, and epic adventure. We are creating and performing this show with direction by Martha and text contributions from Jennifer. We are grateful to The Hamner Theater, who is giving us assistance as our presenter. The play will have it’s inaugural run December 10-14 in the Round Room dance studio in the Old Michie Building in Charlottesville VA. Audience size will be very limited there, but the show will run again with room for a larger audience at Live Arts’ Founders Theater at the end of Feb 2015. Keep an eye out here or follow us on Facebook for details and updates. We will be posting peeks into source material and our approach to play development, for those of you who like that sort of thing, and the wheres, whens and hows, for those of you who just want the facts. Thank you to Vu Nguyen for the groovy poster image above. Now, we should probably get back to work!